The genre-defining masterpiece Resident Evil 2 returns, completely rebuilt from the ground up for a deeper narrative experience. Using Capcom’s proprietary RE Engine, Resident Evil 2 offers a fresh take on the classic survival horror saga with breathtakingly realistic visuals, heart-poundingly immersive audio, a new over-the-shoulder camera, and modernized controls on top of gameplay modes from the original game. In Resident Evil 2, the classic action, tense exploration, and puzzle solving gameplay that defined the Resident Evil series returns. Players join rookie police officer Leon Kennedy and college student Claire Redfield, who are thrust together by a disastrous outbreak in Raccoon City that transformed its population into deadly zombies. 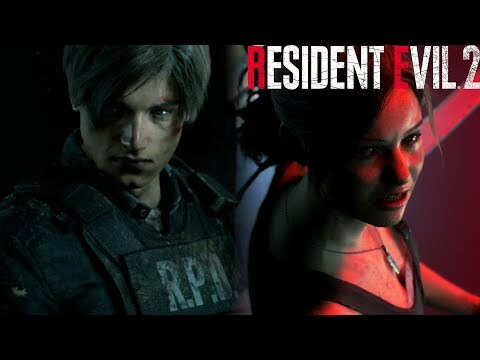 Both Leon and Claire have their own separate playable campaigns, allowing players to see the story from both characters’ perspectives. The fate of these two fan favorite characters is in players hands as they work together to survive and get to the bottom of what is behind the terrifying attack on the city. Will they make it out alive? Resident Evil 2 was released on PS4 88d ago in the US and the UK. Based on 3 Resident Evil 2 PS4 reviews, Resident Evil 2 gets an average PS4 review score of 91. The score for all versions is 88 based on a total of 10 reviews. Resident Evil is finally running on all cylinders. Now THIS is how you remake a classic. Resident Evil 2 expertly reanimates the horrifying atmosphere and moments of extreme tension that made the original so revered. Capcom's Resident Evil 2 Getting "A Full From The Ground Up Remake"